Chances are you've already been talking about it. 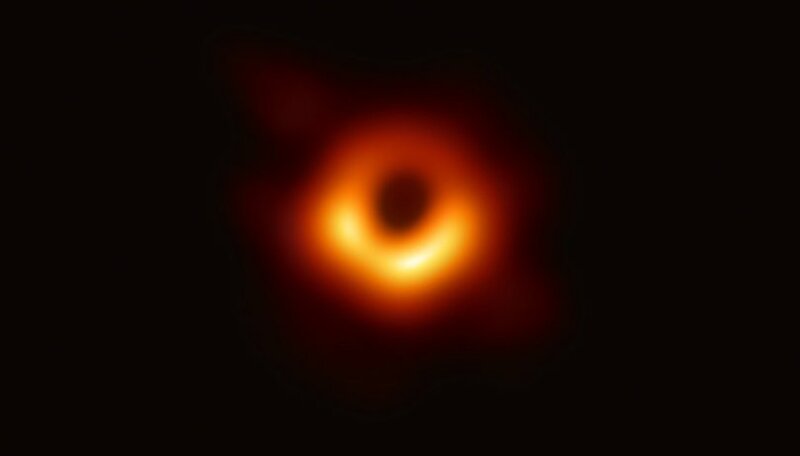 The first photograph of a black hole in the history of humanity is on the front pages of all the media, on social networks, and breaking news from all over the world. But what not everyone may know is that the person behind this scientific milestone is a 29-year-old woman. Katie Bouman was the creator of the algorithm to create this first image of the astronomical phenomenon. A graduate in Electrical Engineering and Computer Science from the Massachusetts Institute of Technology (MIT), Katie Bouman led the software development team that helped achieve this unprecedented feat that seemed impossible. So far. Bouman's algorithm served as the basis for the Even Horizon Telescope to take a spectacularly clear photo of a black hole in a galaxy 53.49 million light years from Earth. Nothing more and nothing less than a network of 8 telescopes linked to each other were needed to get so close to something so far away. The 29-year-old scientist, who began developing the algorithm three years ago, now occupies a deserved place in history. However, she has taken great care to emphasize that this has been a team effort. "The algorithm of someone or just one person did not make this image, it required the incredible talent of a team of scientists from all over the world and year after year.The Commission has been working hard to develop the tool, data processing, imaging methods and analysis techniques that were necessary to achieve this impossible feat.It's been a real honor, and I'm very lucky to have had the opportunity to work with all of you," she said on her Facebook account.